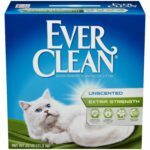 Omega Paw Roll 'n Clean Litter Box Review - Does This System Work? This is a full review of the Omega Paw Litter Box with all the information you need to know to decide if this unit is a good solution for you and your cat. The Omega Paw Roll Self-Cleaning cleans your cat feces and urine just in a minute without the scooping task. Inside the Omega litter box there is a grill that divides out the clumped waste, directing it to the pullout tray. The large litter box size is suitable for big cats or for multiple cat households. The Omega Paw even though considered a self-cleaning litter box is not an electronic self-cleaning litter box. The good thing is that you don’t need electricity or expensive filters to make it work. Dimensions regular size: 18 x 18 x 20 inches. Simply roll the litter box on its right side until the top touches the floor (or until you hear all the soiled litter goes into the tray). Then slightly roll the box to the left to allow the clean litter back into the box. Shake the litter box to even the litter. When you roll the litter box to its right side, a screen separates the clean litter from the crumpled waste, putting all the soiled litter into the tray and will remain there until emptied. To empty it, just pull out the tray and dispose the waste. Note: you need a big area to roll the box. Minimum 6-8 feet (depending on the size). 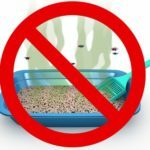 What are the Pros and Cons of the Omega Paw Self-Cleaning Litter Box? By checking the Pros and Cons of a cat product, you have a better idea if the item is what you need for your pet. Cleaning your cat litter box within a minute. Just roll it upside down and cleaning is done. Reduce the amount of litter usage. Cats seem to appreciate the privacy of the box. No batteries/plug, motors or special plastic containers. Waste is not 100% exposed to air as typical litter box. No hands contact with your cat feces or urine. Latches of the assembling system are weak (see below tips to reinforce them). Litter clumps might get stuck below the drawer or on the grate (Good litter and right level of it stops that). It might starting to stink if not cleaning the unit often. You need a large space to roll the unit. (The Litter Spinner works similar to the Omega Paw, but without requiring a large space). The unit has to be perfectly assembled otherwise, the system might not work correctly. The following are the tips and tricks that will help you to get the best experience using the Omega Paw. This is the MOST important step. In order to make the screen work properly when you roll the litter box to its right side and prevent also litter leaking, you have to assemble it perfectly. If the latches don’t latch smoothly, don’t put undue pressure on them, just make sure that they are lined up straight so this way the box sides are tightly together, and look to see if there is a plastic or little tag causing the latches not moving well, and if this is the case, just take it off with a paring knife. If your litter box leaks a little of litter when rolling it, just use duct tape or wide masking tape to seal the edge where the top and bottom meet. The sealing prevents also small litter particles from escaping and going to your breathing. How much you roll the litter box to the right side and how long it will depend on how full it is and how often you clean it. Rolling the litter box back to the left. If you have too much waste on the box, it is a good idea whether to roll the litter box twice or give a couple of knocks when it is inverted to release any clumps sticking to the bottom of the box. However, if you keep the litter level on 3 inches you should have minimal sticking issues. When you roll the litter box to its side, do it slowly. If you roll it too fast, some clumps escape the grid and get back to the clean litter. Also, when you roll the box too fast a lot of clean litter is wasted. It is a good idea to slow rolling the litter box on a rug that cushions the box and its seam. If you use a really good clumping cat litter, don’t roll-and-clean immediately after the cat makes its deposits on the box. Give the clump time to harden. To put new litter on the box, tilt it backward and pour in the litter. To empty it, tilt it forward over a trash receptacle. Another option is to fill it with a litter scoop. As we mentioned before, make sure to always put 3” of litter on the box. More than that will result on litter waste. To accomplish this just mark the fill line inside the box with a marker so you are keeping the box adequately filled every time. It is recommendable to do this at least once a month but it will depend on how fast your cat gets it inside dirty. Some customers report they don’t need to wash the litter box even after two months or more. In order to wash the box is has to be disassembled, and then the litter needs to be dumped into a trash bag to dispose. Rinse it out and soak it for about an hour in water with a little bit of bleach (make sure no bleach is left in the box), let it dry, reassemble and add fresh litter. Customers have recommended several brands but you will have to try the best one and see yourself the best results. Ideal is to use a high quality clumping cat litter that clumps hard as a rock. Some brands that have been recommended by customers are: Tidy Cats, Arm & Hammer, Scoop Away, World’s Best, Fresh Step. Is crucial to use the ideal litter, otherwise the waste and litter will stick to the sides or the grate. 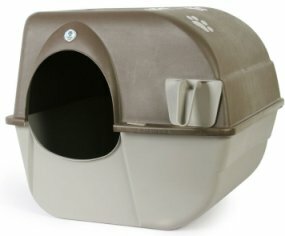 What Omega Litter Box Size To Buy? If you have a slight odor problem with your cat litter box, pouring a little baking soda into the litter will help absorb air-born odor (baking soda will get dumped with the waste when you empty the drawer). 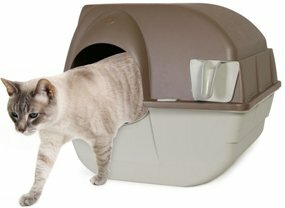 If your cat doesn’t like the idea of this enclosed litter box, you may need to keep the cover off at first to make it to go into it. If your cat is very shy and might get scared with an electronic litter box. If your only concern is just to eliminate the scooping task from your daily routine. If you have big room for your cat litter box. If your cat is used to do its business on the litter area and not all around. If you don’t mind to disassemble the litter box to properly wash it. If you have a a very big cat (over 15 lbs.). Large size has enough room on the litter area but not enough for your cat to turn around if it’s too big or tall. Not recommendable for cats with soft stool. 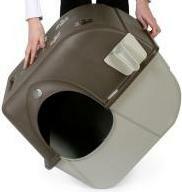 For small apartments or if you don’t have enough room for this litter box. If you want a completely free-odor cat litter box. Switched from a regular litter box to this litter box instead. We are very limited to space to “hide” a litter box as we live in a one story home. We have now had it for only 3 days and the difference is absolutely fantastic! No smell and very easy to clean. We couldn’t be more happy! Soo worth the money! !